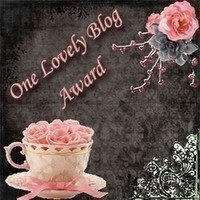 CGS member Cheryl Fleming Palmer of Heritage Happens and the Graveyard Rabbit of South Alameda County has bestowed the "One Lovely Blog Award" to the CGSL blog. Thanks, Cheryl! Please visit these lovely blogs and leave a comment for the author!